The last two days Nedato was present at the Biobeurs in Zwolle. 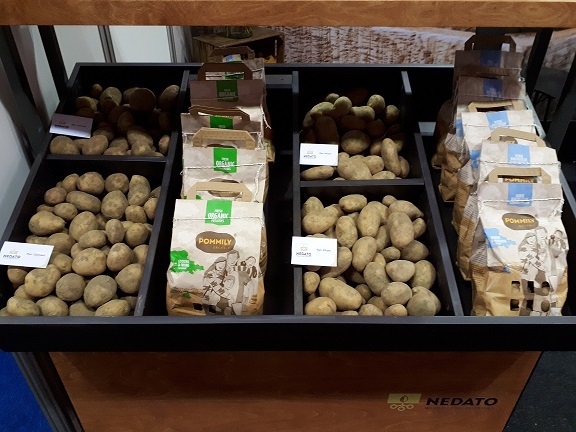 In our stand we have brought our range of potatoes and various packaging to the attention. That Nedato offers added value to customers with a loyal own growers group cannot have escaped visitors. Our organic growers spoke enthusiastically with the visitors in our booth. There were many questions about Phytophthora resistant varieties. The fact that we as Nedato already grow 100% robust varieties in 2019 is something we are proud of and everyone should know. With confidence we look forward to the new season!